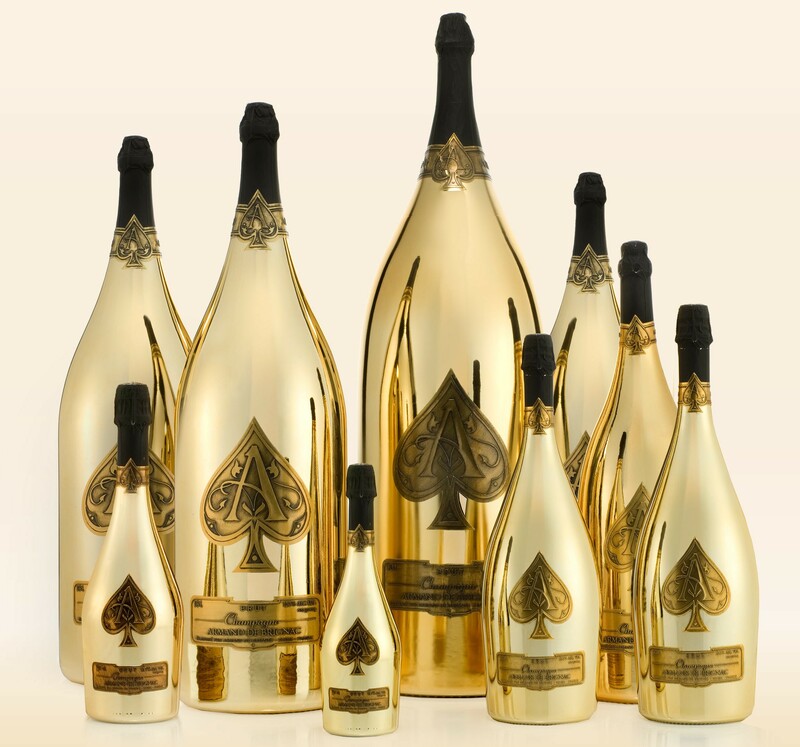 So Ace of Spades now has this thing called Armand de Brignac Dynastie that’s a collection of every available bottle format it comes in. It goes for the low, low price of half a million bucks. Why’s it called Dynastie? Wouldn’t have anything to do with Jay-Z’s Dynasty album, would it now? Now before you’re like, “Whoa, I’m gonna have to get this tonight in da club!” you should know it’s only served at Hakkasan in Vegas, the “culinary and nightlife mecca” (um, their words) in the MGM Grand Hotel. Somewhere, Scott Disick is rejoicing. And I’d really like to see him trying to pour that Midas. Tags: ace of spades, champagne, jay-z, wine. Bookmark the permalink. Well, if I win the powerball 600 million jackpot maybe but for now I would have to pass.